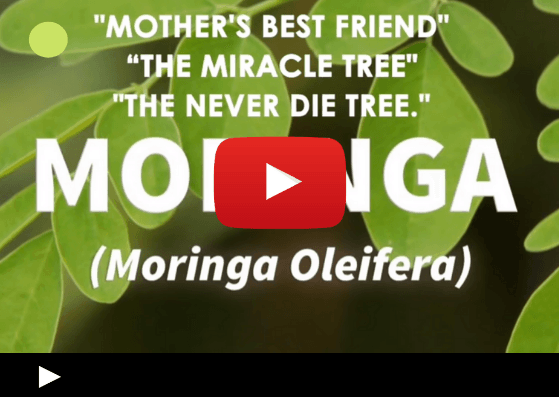 “Mother’s best friend”, “The Immortal Tree”, “The Miracle Tree” …these are just some of the names for the curious plant called Moringa Oleifera! In non-Western cultures, it has been used as a herbal remedy for hundreds of years. Despite that, it’s much lesser known in the West – however, recently it has been gaining insane popularity due to its amazing benefits for overall well-being and effectiveness for weight loss. For instance, Sciencedirect.com cites numerous studies confirming that Moringa is one of the most potent herbal supplements known to humanity. Although it is not your standard weight loss herb, its effectiveness for weight reduction can be accredited precisely to its myriad of nutritional properties making it a good supplement for people of all ages who are trying to lose weight, tone up and stay in shape. 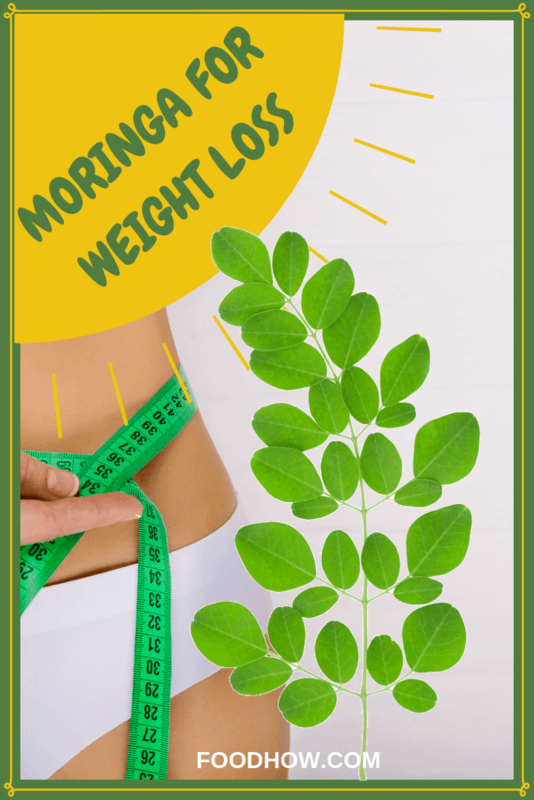 Keep reading to find out what are these effective yet not so obvious nutritional properties making Moringa such a well-kept secret for natural weight loss. Moringa leaves are almost 25% protein, which is very high for any plant. It contains 9 essential amino acids making it a complete source of protein so it is a perfect herbal supplement for anyone trying to lose weight and build muscle. You can easily recognise this small tree from India, Nepal and Pakistan by its distinct thick, light-coloured bark complete with slender fragile branches and long, dainty oblong-shaped leaves. Known as a drumstick tree in addition to many poetic names, Moringa Oleifera is part of the diverse Moringaceae family. Indigenous to India, Nepal and Pakistan, it grows very quickly and can be easily cultivated in subtropical and also tropical areas such as Asia and South America, Africa. In different areas, the tree can go by different names (e.g. Horseradish-tree, Ben oil tree, Shigru, and more). Scientific studies on the properties of Moringa have a lot of catching up to do, considering it’s been used successfully as long as ancient times: Romans, Greeks and Egyptians relied on the tree for treatment of many conditions. In Ayurveda, countless therapeutic uses are listed due to its antiviral, antifungal, anti-inflammatory and antidepressant properties. These days, it also plays an important role in eliminating malnutrition in poverty-stricken regions, since it’s so easy to cultivate. The combination of restorative properties and high nutritional value truly makes Moringa “the miracle tree”. Experts all around the world have a lot to say about the amazing properties of Moringa. For instance, Dr. Monica G. Marcu (PhD, PharmD, BNursing, BArts) concludes that it is the greatest nutrient-rich plant discovered so far. This modest plant has gained a lot of popularity and made good progress for thousands of years in many cultures, and now there has been significant nutritional research conducted since the 1970s. It provides a prosperous and remarkable combination of antioxidants, amino acids and nutrients and strong antiaging properties used for healing and nutrition. Many international experts agree, suggesting that “Moringa could soon become one of the world’s most valuable plants”. 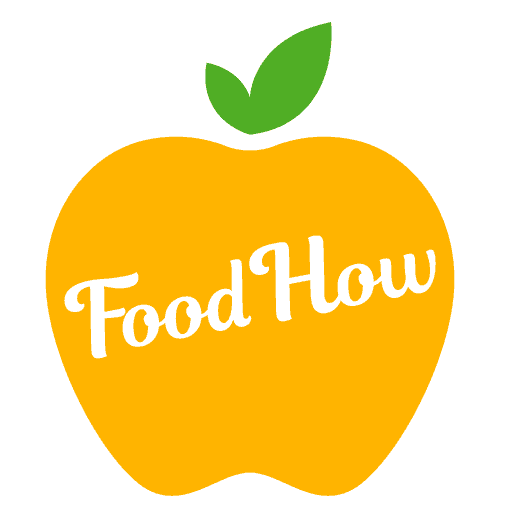 In this video presentation, you are about to discover more about this a life-changing superfood that’s going to turn your beliefs upside down! This image will take you to the official Nutrition Life video page. By this point, you’re likely wondering what makes this plant so amazing. Well, firstly, the nutritional content of this Miracle Tree leaves is truly remarkable, making the plant a great aid for those requiring a dietary boost. And over 90 other beneficial nutrients – the next closest (in terms of nutritional content) plant only has 28! And that’s just the very tip of the iceberg! Due to its unique nutritional profile, it boasts many amazing scientifically backed benefits – let’s look at some of them in more detail! Moringa has a high concentration of antioxidants and it has strong anti-inflammatory effects. Moringa is very high in potent antioxidants, such as caffeoylquinic acid and kaempferol and zeatin and also quercetin, beta-sitosterol, rutin and chlorogenic acid. These powerful compounds help detoxification, fight free radicals and repair the damage created by them, making it an excellent aid in battling the consequences of oxidative stress. 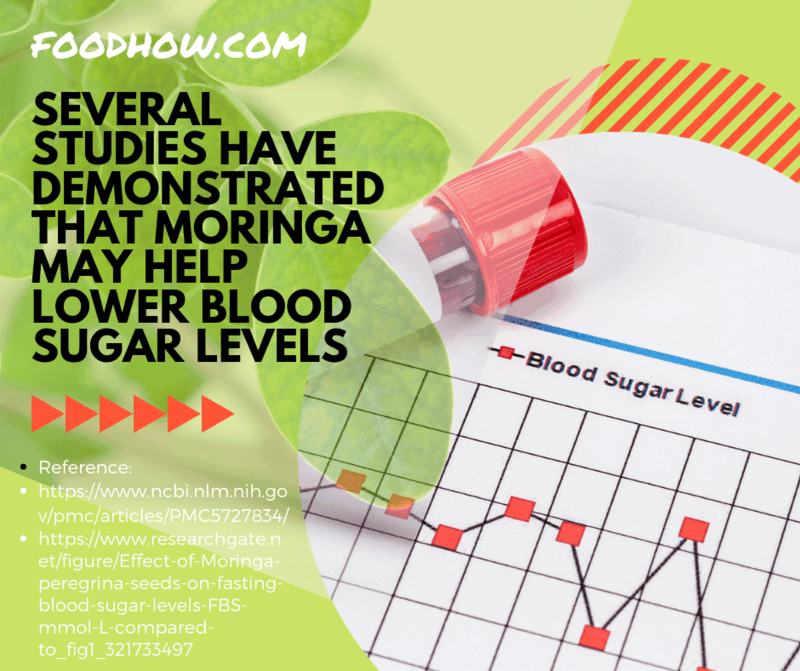 Moringa is an incredibly nutritious plant with many benefits, but one of the most interesting is that it can actually lower your blood glucose levels! Taking in Moringa extract has been proven in several studies to have a positive impact on diabetics. One research showed that some women ingesting Moringa Oleifera lowered their fasting blood sugar levels by 13.5 per cent. According to research, individuals with diabetes experience a significant reduction in blood glucose levels, urine sugar and urine proteins following Moringa therapy. In addition, Moringa consumption promotes normalisation of Hb levels and protein balance in diabetic subjects. This is because of Moringas’s high amino acids content, which supports protein production in the body. Looking for something to stabilize your cholesterol? Moringa may be the answer. Having a positive effect on cholesterol levels, it also helps to lower blood pressure with the help of an enzyme that helps prevent thickening in the arteries of your heart. It contains bioactive substances such as isothiocyanate and niaziminin, which help prevent the thickening of the arteries and regulate blood pressure. In addition, Moringa consumption helps to reduce serum cholesterol levels, which further aids blood pressure regulation and hypertension prevention. Moringa root extract has been scientifically proven to aid treatment of oedema due to its powerful anti-inflammatory properties. In fact, it's effects are comparable to those of indomethacin with much fewer side effects. 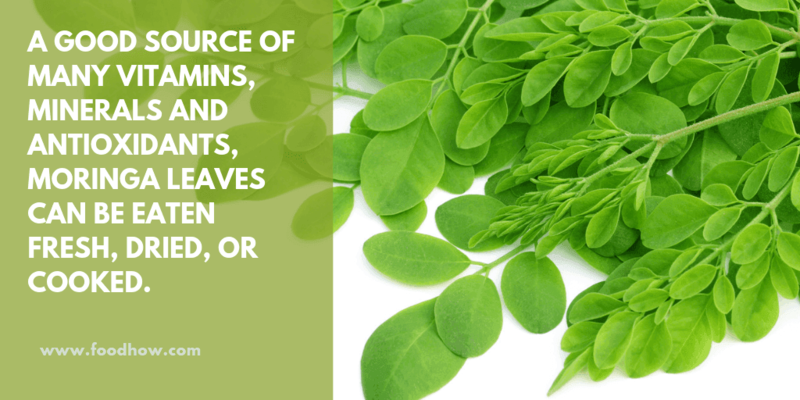 According to recent studies, Moringa extracts can protect the liver from the damage as well as boost liver tissue recovery. In addition, its consumption restores the amount of glutathione content in the body, preventing radiation-induced liver lipid peroxidation. These amazing effects are attributable to phytochemicals such as vitamin C, catechin, ferulic acid and epicatechin. This Miracle Tree has nearly every important vitamin and mineral for healthy digestion and it contains more than 40 anti-inflammatory and anti-oxidant compounds that will help to reduce constipation, bloating and gas and eliminate bad bacteria. Gastrointestinal disorders such as gastritis and constipation could be alleviated by Moringa consumption, thanks to high concentrations of the isothiocyanates. Several studies have found that Moringa extracts could be just as effective as commercially available antihistamines and antacids, making them a viable alternative for those preferring herbal remedies. Some researchers even report ulcerative colitis relief comparable to that achieved with prednisolone. This may be attributable to antibacterial compounds in Moringa which inhibit the growth of some pathogens, including Helicobacter pylori and also coliform bacteria (known diarrhoea triggers). For those struggling with a slow metabolism, Moringa can help too, as it aids digestion and promotes food conversion into energy as opposed to fat storages. Along with being great for the inside of your body, Moringa can also be great for the outside! Moringa seed oil is a great hair protectant, keeping your hair safe from environmental damage, conditioning your hair, and promoting a healthy scalp. Oil of a Moringa seeds promotes great hair and skin health by shielding them from environmental damage. For instance, the detoxifying and also hydrating effects of Moringa preparations protect the cells from harmful pollutants and heavy metals, preventing wrinkles, slowing down ageing and stimulating hair growth. It’s not all about the looks though: Moringa seed oil is also effective against the herpes simplex virus, preventing the formation of skin lesions and inhibiting the growth of viral plaques. Did you know? There are antibacterial, anti-fungal, and antimicrobial properties in Moringa that make it a great disease preventative. It has significant effectiveness against a huge range of food-borne bacteria and viruses, so get some in your diet today! The Miracle Tree is well-known for its antimicrobial and antibacterial and also antifungal properties, inhibiting the growth of many disease-causing microorganisms. 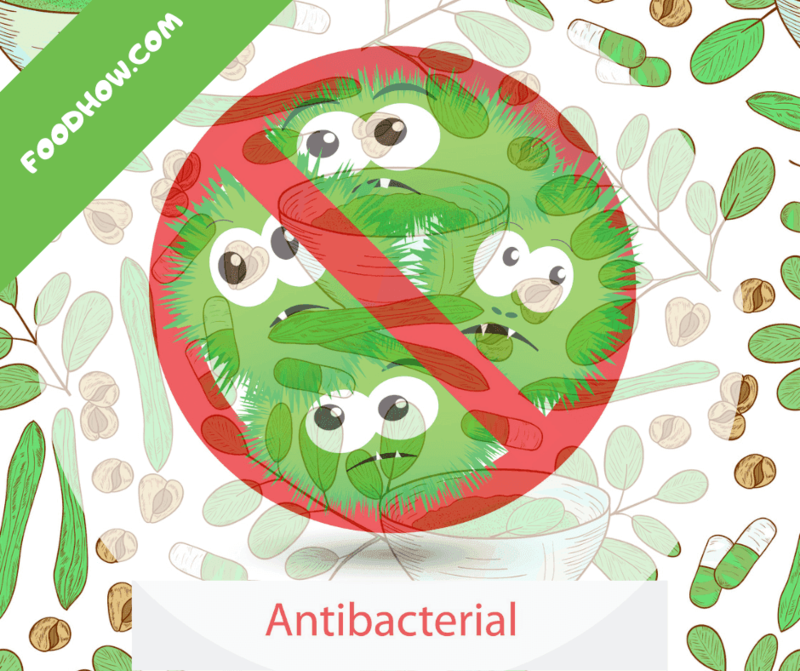 Moringa can help defeat some of the harmful microorganisms, include E. Coli, Salmonella, Enterobacter aerogenes, Rhizopus species, Staphylococcus aureus and also Pseudomonas aeruginosa. In addition, it could help prevent and treat diseases caused by fungi such as Aspergillus spp. and Penicillium spp. Although not a cure, Moringa can be used to aid tumour therapy. For instance, research shows that Moringa extracts contain phenolic components quercetin and kaempferol which demonstrate chemopreventive properties. Another powerful compound niaziminin may be able to slow down the development of cancer cells. By inhibiting the proliferation of malignant cancer cells and inducing programmed cell death (apoptosis), it aids therapy in various types of cancer (e.g. ovarian cancer, hepatic carcinogenesis, and skin papillomagenesis). 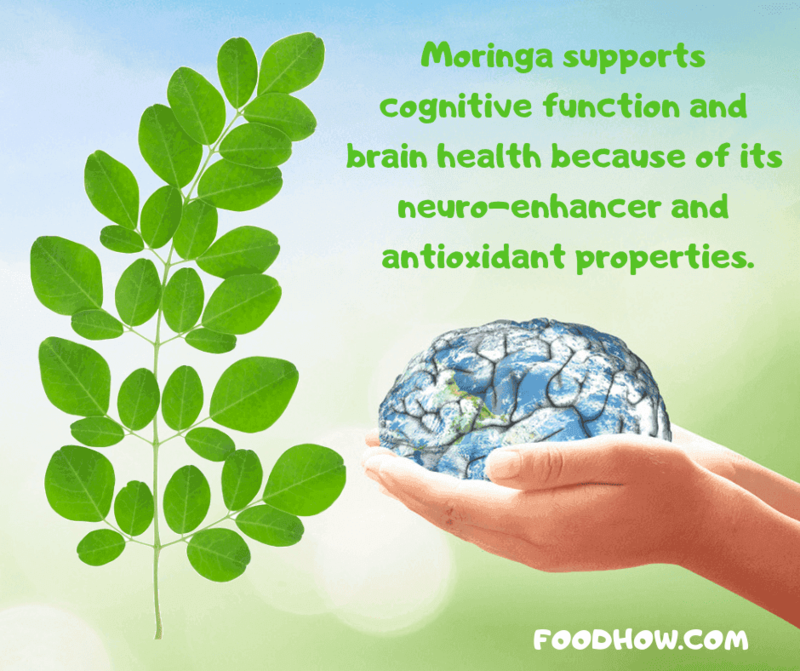 Moringa has properties that allow it to alter brain monoamines like serotonin and dopamine. What does that mean? It means that it has the potential to help guard against neurodegenerative disorders - like Alzheimers. By altering brain monoamines like dopamine, serotonin and norepinephrine Moringa can help shield the nervous system against monoaminergic deficiencies that are known to be related to Alzheimer’s disease. These effects can also be beneficial in the treatment and prevention of many other neurodegenerative disorders. Also, Moringa oftentimes can help in improving your sensory perception and memory and has been known to be useful in the treatment of anxiety and fatigue. Are you struggling against anxiety and looking for a way to clear your brain and get your life back? 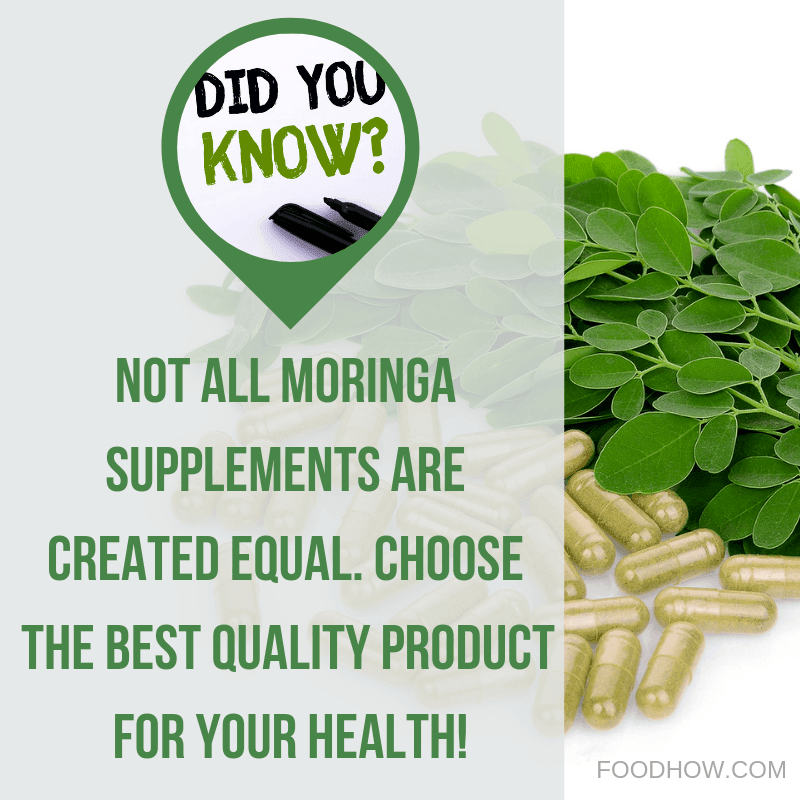 Give Moringa a try. 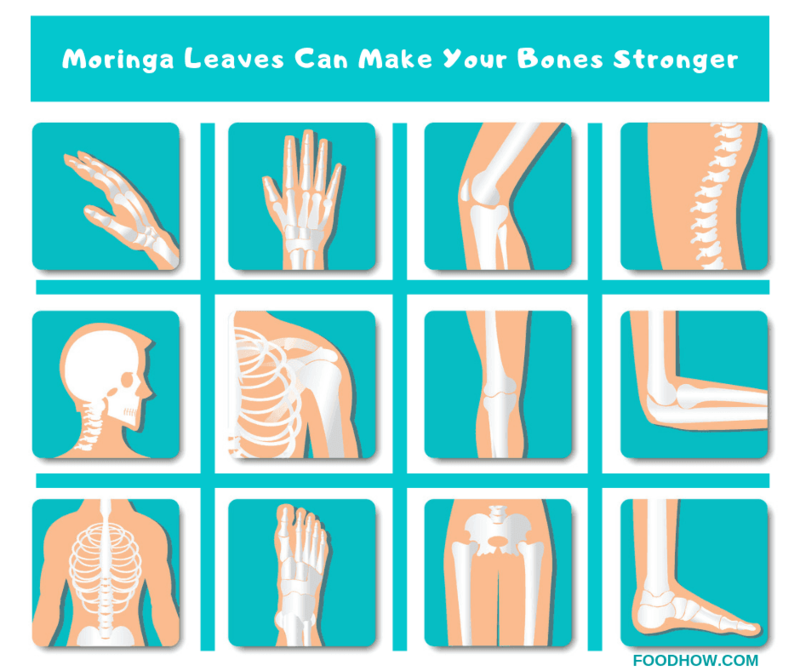 Bone health is important for all of us, and Moringa can have a positive impact on your bones! It contains essential minerals like phosphorus & calcium, and also possesses anti-inflammatory properties that help keep bone ailments like arthritis in check. Due to high calcium and phosphorous content, extracts made out of Moringa are extremely beneficial for bone health. In addition to boosting bone density, it has an anti-inflammatory effect which can reduce pain and discomfort in conditions such as or traumatic bone damage (e.g. fractures) and arthritis. Looking for a way to give your immune system a boost? Try adding some moringa into your daily diet. 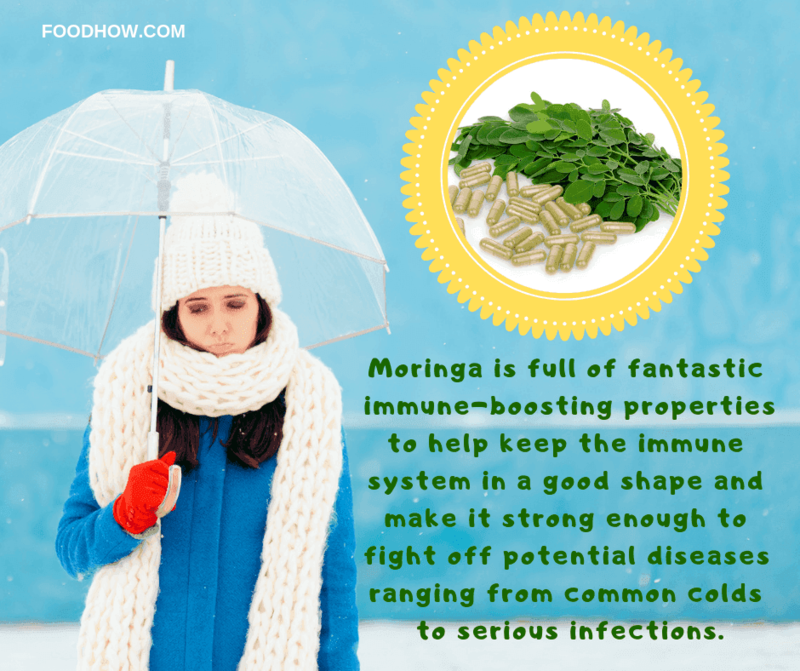 Moringa leaves have been known to enhance cellular immune response, keep leucocytes & antibodies at optimum levels, and has many other benefits. Where the immune system needs a little boost, ethanolic extracts of moringa leaf can help stimulate the immune response. As a result, Moringa use helps enhance cellular immune response, as well as improves crucial parameters such as total leucocyte count, antibodies formation, and adequate hypersensitivity reaction. 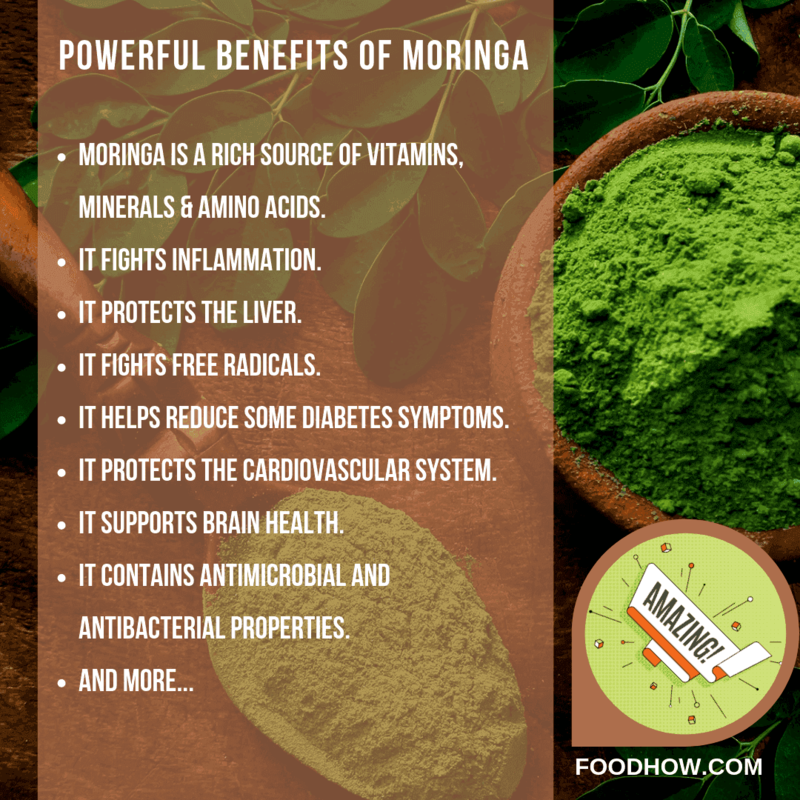 Conversely, the Moringa seed contains immunosuppressive compounds, which can be helpful immune system inhibitors in organ transplant recipients and autoimmune disease (e.g. rheumatoid arthritis) sufferers. The mechanism here is boosting the production of antibodies, which promotes an adequate immune response. The powerful antioxidants in this plant are not only beneficial for your overall health, but they also help protect your cardiovascular system. It can help to prevent common negative effects & aids in the upkeep of a healthy heart. The powerful antioxidants found in the Moringa tree could help prevent cardiac damage and has also been shown to sustain a healthy heart. 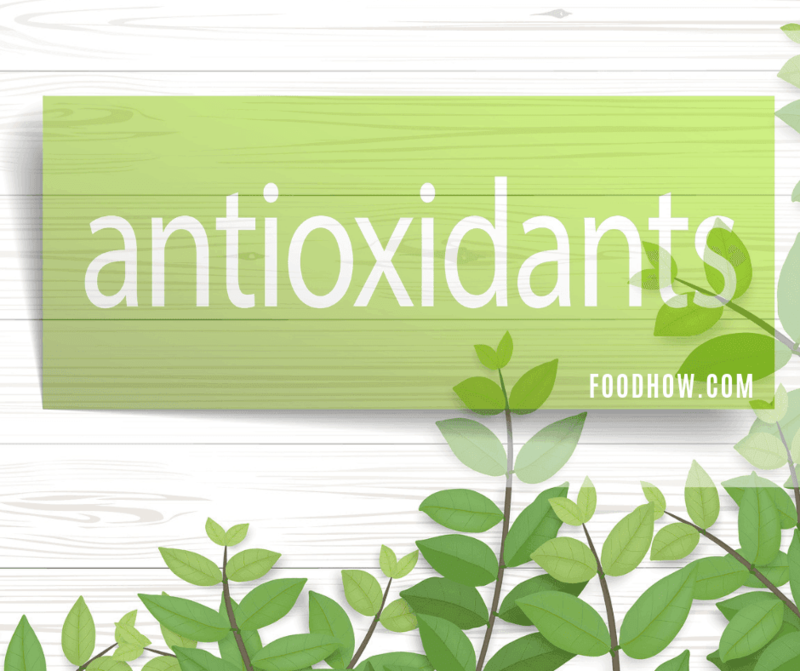 I have already mentioned the high antioxidant content of Moringa – and it helps prevent cardiac damage or myocardial! Moringa therapy appears to inhibit the oxidative degradation of lipids in the myocardial tissue, which promotes optimal heart health. 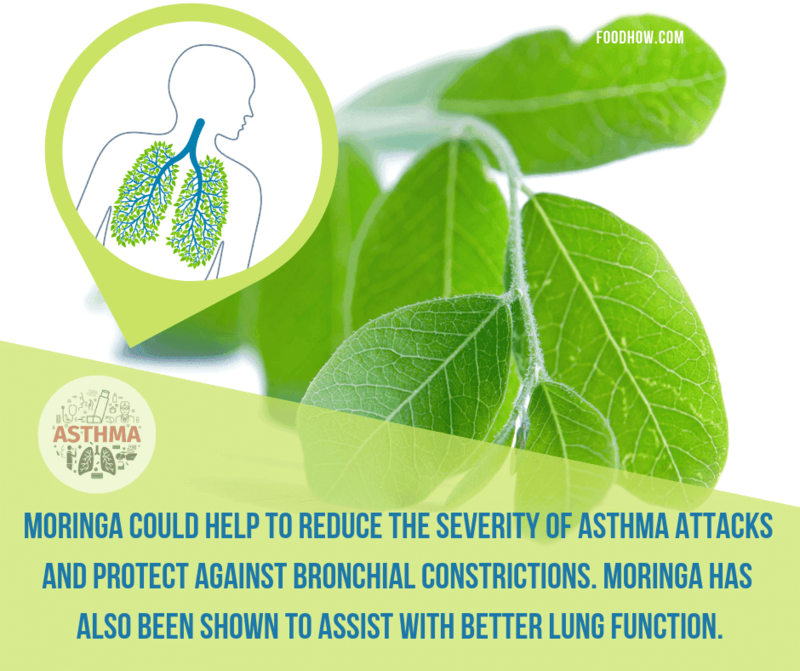 Anti-inflammatory properties of Moringa help reduce inflammation in the airways and bring timely bronchial asthma relief. Powerful antihistamines in Moringa inhibit inflammatory reactions in conditions such as allergic anaphylaxis and rhinitis. From reducing the seriousness of attacks to eliminating common symptoms (e.g. dyspnea, cough and also wheezing). It also offers many ways of reducing bronchial constrictions and promoting better respiration. According to research, Moringa extracts can prevent the formation of uterus, kidney and bladder stones, thanks to antiurolithiatic activity and remarkable dilution in the urinary oxalate levels. In addition, it reduces the development of stone deposits and helps regulate endogenous oxalate synthesis. 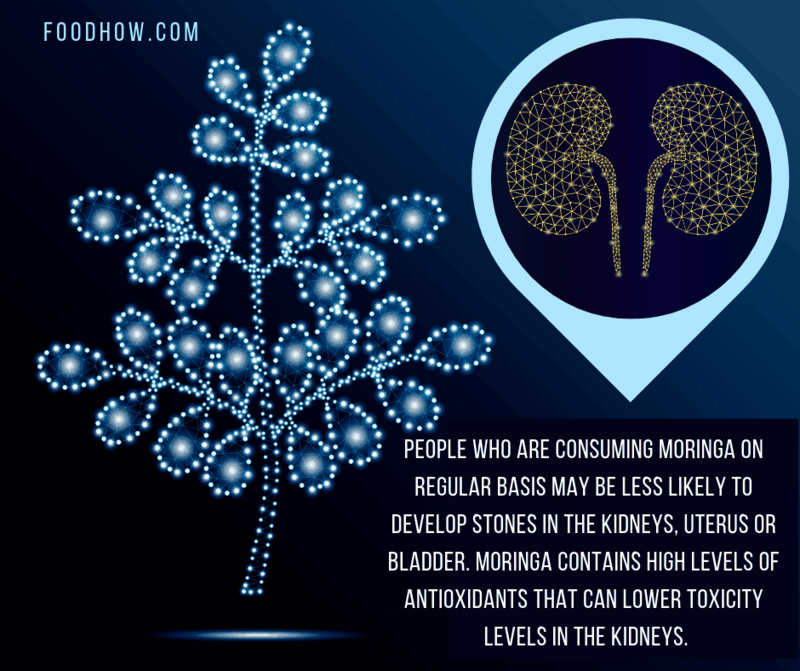 Moringa extracts help battle nephrotoxicity (kidney damage caused by exposure to drugs and toxins). Thanks to the high antioxidant content, it helps prevent and heal renal injuries, as well as promotes extraction of heavy metals and toxic compounds. Although no substitute for birth control, Moringa extracts can prevent fetal implantation in the body by mimicking the effects of estrogen. Thus, those using it must be aware of its potential effects on fertility. 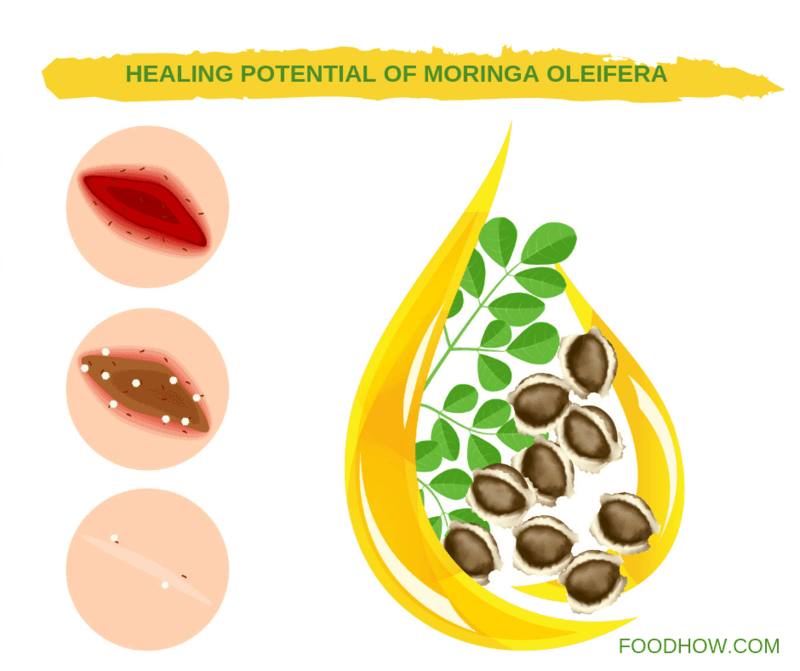 Moringa, in particular, its aqueous extracts, demonstrate significant wound healing properties by increasing the strength of the skin and also improving wound closure rate and reducing scar formation. 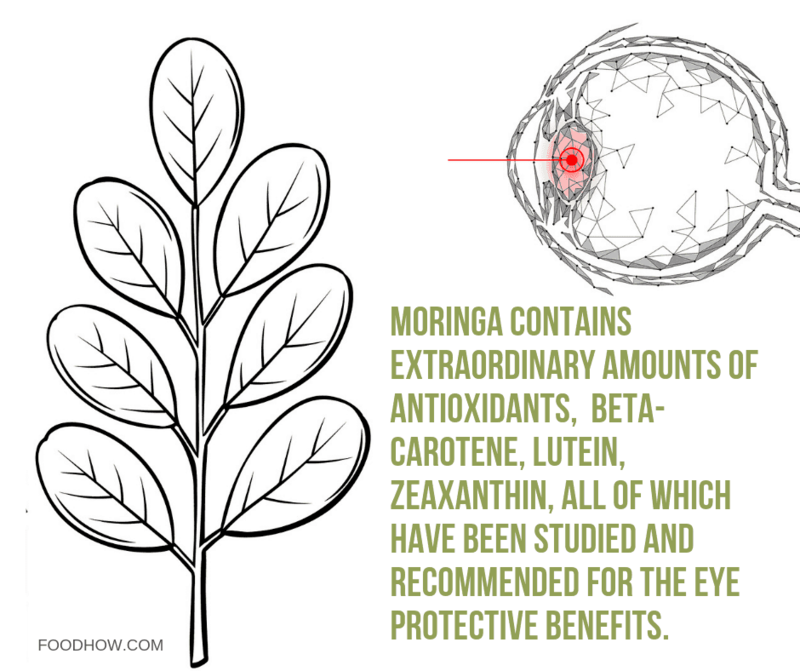 The antioxidant composition of Moringa is perfect for protection against retinal damage through preventing the dilatation of retinal vessels and preserving the retinal vasculature. According to some research, it also inhibits the stiffening of capillary membranes, helping prevent retinal dysfunction and cataracts. 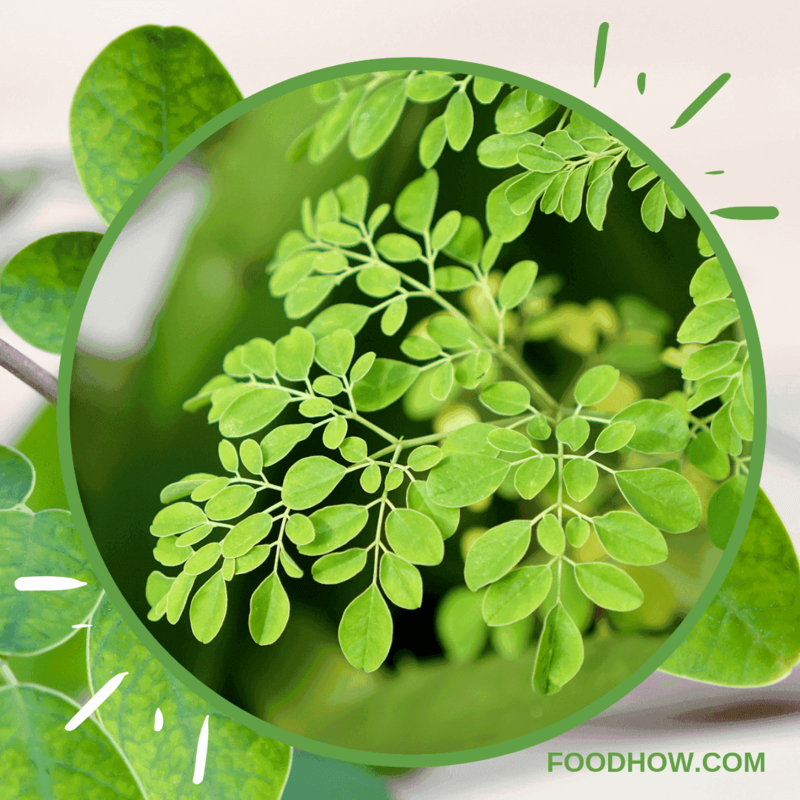 Scientific investigations have discovered Moringa’s ability to facilitate iron absorption, boosting the red blood cell count and helping maintain blood parameters in healthy ranges. In addition, it possessed anti-sickling properties, which is likely attributable to the presence of flavanols, zinc (e.g. kaempferol, quercetin, and acacetin), and phenolic acids (e.g. vanillic acid and meiotic acid). Thus, the use of Moringa extracts can be beneficial in anemia and sickle cell disease treatment protocols. Although not originally intended for losing weight per se, this Tree boasts enough nutrients, fibre, vitamins and antioxidants to feed your body, boost your metabolism, keep your blood sugar in check and limit cravings throughout a day. These benefits will directly or indirectly aid and support the weight loss process. So, after some extensive research and trial and error, I landed on the strategy that seems to work the best. If you follow these steps above you should see some noticeable results in 2-3 weeks time. At the end of the second week, I could clearly feel the difference in my energy levels, my food cravings were almost gone and I really enjoyed this amazing clarity of the mind. After the fourth week, I could clearly see leanness in the body and noticeable shape and muscle definition. Although it is called The Miracle Tree, do not expect miraculously lose weight if you don't follow all the 5 steps above. 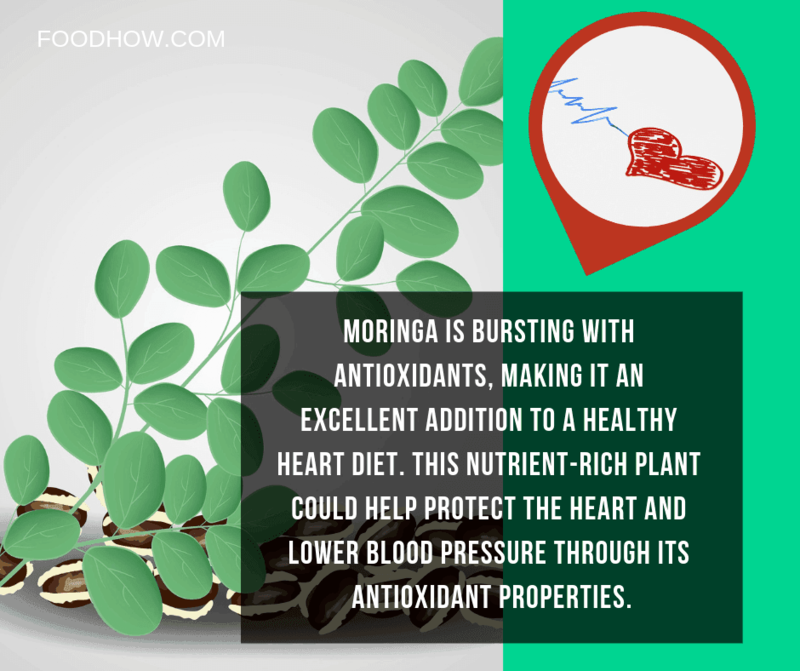 Also, Moringa is very safe to consume but if you have any health conditions it is always recommended to check with your physician first before you start taking it. 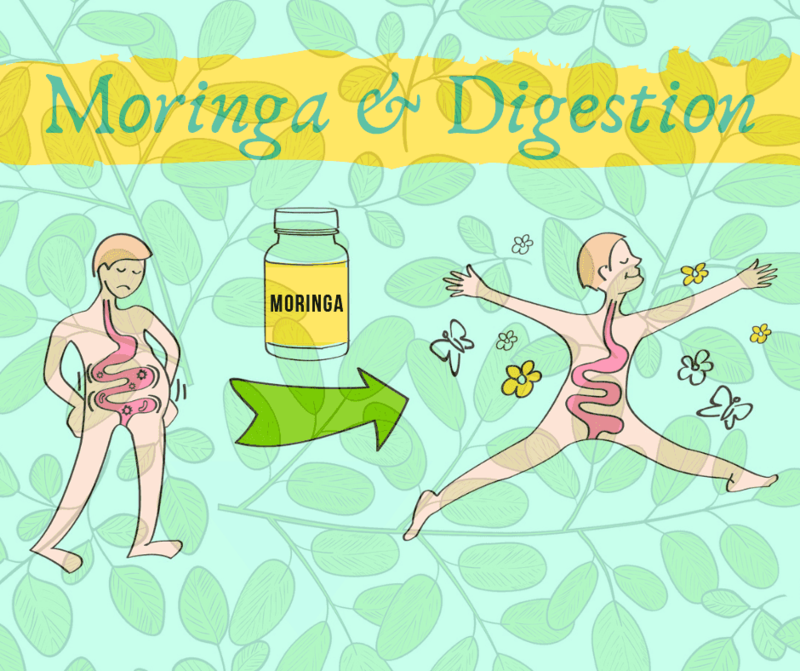 Keep reading to find out the recommended dosage and some tips and trick how to easily add Moringa to your daily diet. 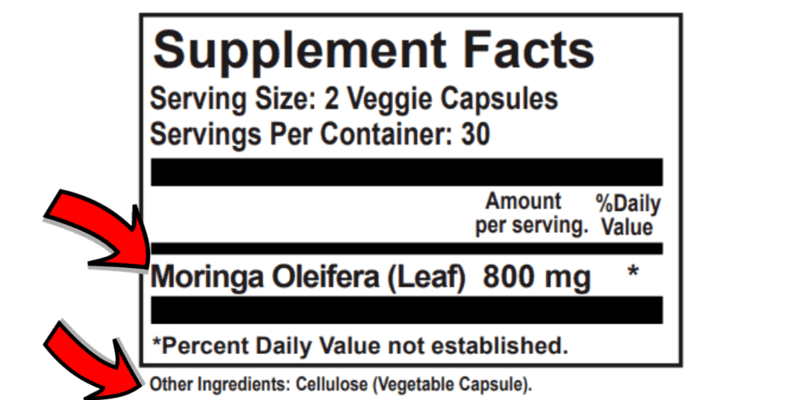 I recommend taking two 800 mg capsules of Moringa twice a day. One serving is best consumed with breakfast in the morning. The morning serving will give you a good start for the day by improving carbohydrate metabolism for that day. Now, when you include Moringa with another meal later on in a day, that will help you to sustain Moringa’s sugar balancing and anti-inflammatory effects. In addition, the healthy dose of nutrients and vitamins in it is a really good way to beat the afternoon blues and to keep you going for the rost of the day. 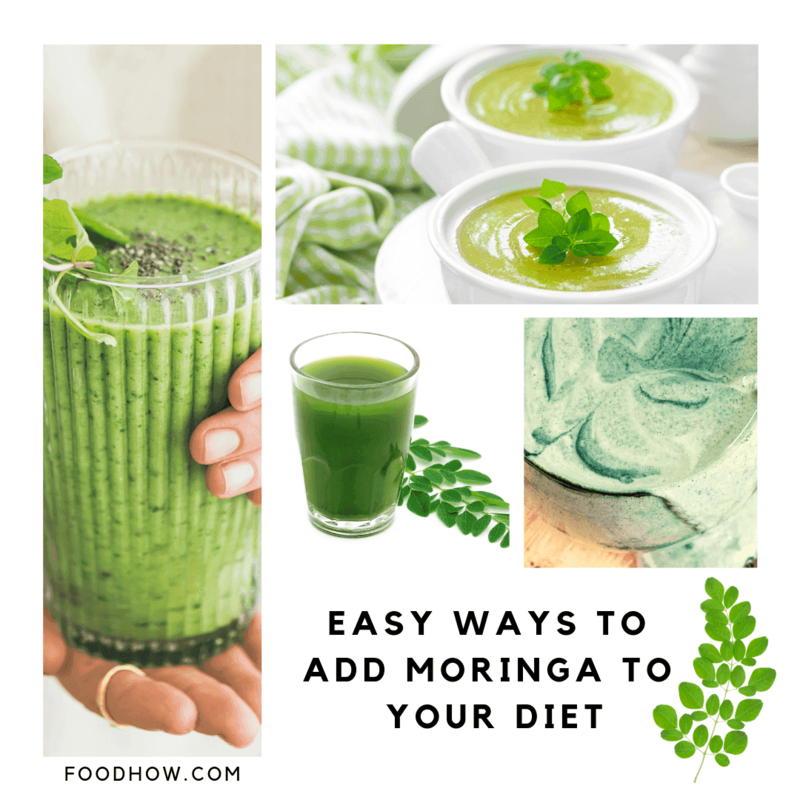 If you are taking Moringa powder instead of capsules I recommended ingesting one teaspoon of powder in the morning with your smoothie, cereal or a protein shake and then take another teaspoon later on during the day with another meal or a shake. Conveniently, It can be taken virtually with any meal. All benefits are still effective if it is consumed with food, and some – such as anti-inflammatory action – are more potent in combination with other nutrients such as fats (for better absorption). 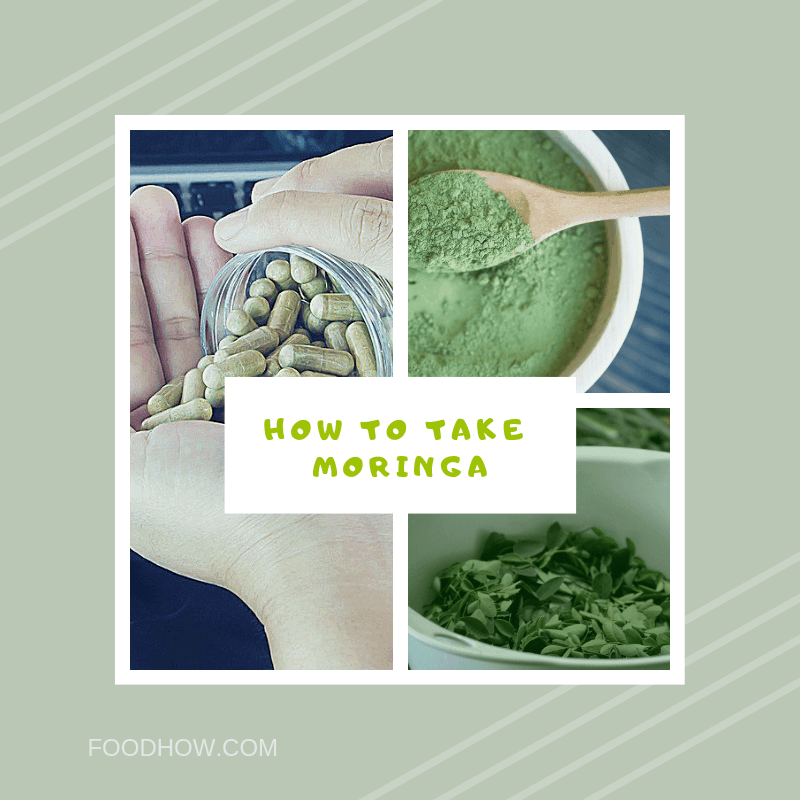 If you’re new to Moringa powder, I recommend starting with as little as half a teaspoon a day – it’s a powerful food, and you need to adjust to it gradually. After one week, start having a full teaspoon daily, and keep increasing in the same manner until you reach 2-3 full teaspoons daily. It can take you around a month to reach this level of consumption, and it’s ok. After you’ve reached the optimal dose, expect the positive effects to kick in within a week or two! Note that compared to powder, fresh leaves are even more nutritious. You can also generally increase consumption quicker since they are 100% natural. The starting point is ¼ cup of loose leaves, and the goal is 1-2 cups daily. There are a few important considerations when it comes to consuming Moringa. Firstly, it’s not recommended to heat it for more than a few minutes – otherwise, the nutritional value will be destroyed. If you want to incorporate Moringa powder into a hot meal, add it in the very end – or simply sprinkle it on top of a cooked dish or consume raw. Smoothies: A great treat for Moringa lovers! Simply blend the desired amount into your daily smoothie. The colour may change – it’s normal, don’t be alarmed! Seasoning: Up to 1 tsp of powder can be easily sprinkled on top of any plate of food, or even a bowl of soup or a sandwich. A little bit of powder at every meal – and you’re all set! Moringa Water: It can be mixed with water – however, you will need to shake it vigorously from time to time. The powder can set rapidly, so shake every time you want to have a sip. Nutritious blend: Mix the desired amount of Moringa, ice, honey and lemon in a blender, add plenty of water – and enjoy! Honey is mainly for the sweetness, so add it to taste. If you crave something more substantial, swap out the water for coconut milk. The blend is even better when made with fresh leaves vs the powder! Moringa leaves can be eaten dried, fresh or cooked. Anyone who’s tried fresh Moringa leaves can instantly recognize their potent aftertaste. Very few people enjoy chewing on plain Moringa leaves – the rest are not amused by the process! It doesn’t help that eating the leaves raw is considered very beneficial. Fortunately, adding the leaves to other foods solves the problem. First, measure out the leaves you need for the day – and then set aside some for every meal and add them to food. This is an easy way to boost your Moringa consumption and spread the dose over the course of the day. Smoothies: Just like the powder, Moringa leaves are an easy addition to smoothies. A single smoothie can easily accommodate an entire cup of leaves! Pro tip: homemade Kefir is a great base for Moringa smoothies. To add texture, throw in some chia seeds. So many possibilities! Sandwiches and salads: Moringa leaves blend in well with other fresh veggies, and chances are you will hardly notice them at all! Any dish: Topping your soup with its leaves can be truly amazing – and in fact, any dish can benefit from a handful of Moringa leaves on top. Freshness in every bite – but without the offensive flavour! 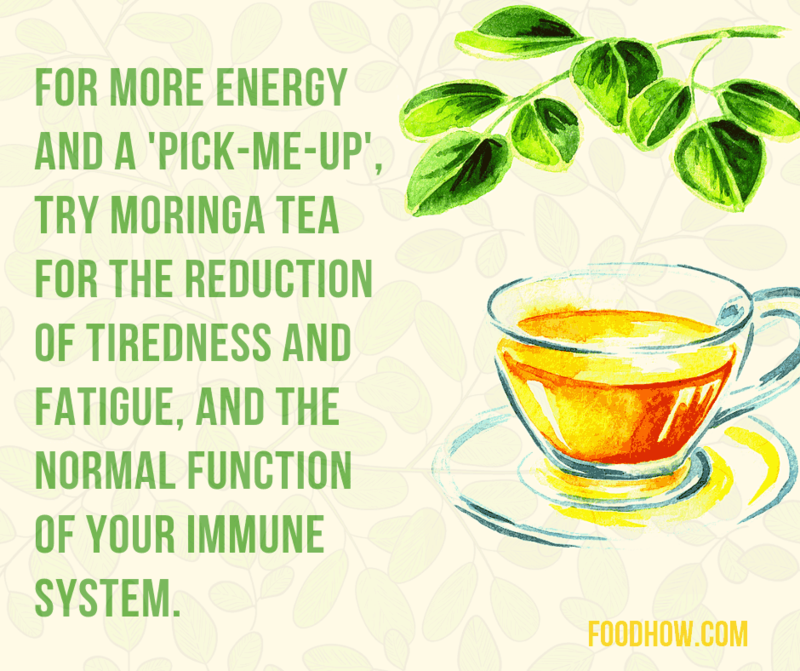 Another great alternative to powder and leaves is Moringa tea. It’s also infused with other nutrients that boost Moringa benefits. Plus, there is no need to ramp up your intake over time – just use about 3 grams per cup as a starting point and adjust as required. Here is my favourite Original Organic Moringa Tea that I drink, but I don't drink it as an alternative but rather as an addition to my Moringa capsules. If you are like me, you might find it difficult to get into consuming Moringa powder or leaves, and when you also take into consideration the convenience factor than Moringa capsules can be a great product for you. Dosage may vary between brands, but generally, you will start with one serving of 2 capsules per day and increase in 3-4 weeks time up to 2 servings of 2 capsules a day, in the same manner as stated above, until you can feel the benefits. It’s just food/vegetable – so you’re unlikely to overdose. The capsules can be taken at any time of the day, however, I personally noticed the best results when taken in the morning and afternoon. You can take capsules with or without meals, but I did experience the best results when taken with a balanced meal, however, everyone is different so I suggest experimenting to find the best times and combinations that resonates most with your body. 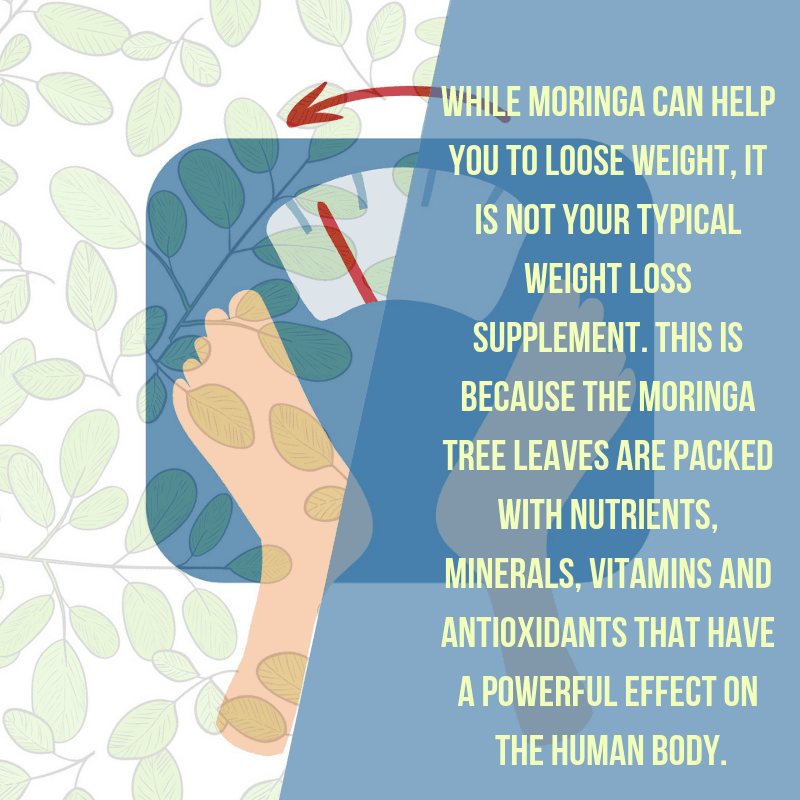 The important part is to take Moringa every day, consistently and without skipping to get the maximum benefit, especially for weight loss. Manufacturing potent Moringa supplements can be expensive, and most supplement companies are only in for the cash. As a result, up to 97% of the available formulations, albeit advertised as “natural”, can be full of artificial ingredients and pointless fillers. The purposes of adding those include reducing production costs, prolonging shelf life and making the supplements more appealing by improving taste and appearance. However, many of these additives are far from healthy, defeating the point of consuming Moringa in the first place. Therefore, your best bet is to avoid supplements with questionable additives, as they can cause more harm than good. There is no point of taking pretty pills with long shelf lives if they damage your health! Instead, do your research and find supplements that have been researched, sourced and produced with consumer’s health and well-being in mind (e.g. The Nutrition Life and other responsible manufacturers). Always check that your Moringa capsules are made from 100% Pure Leaf, as the potent Moringa Isothiocyanates are abundant in the small green leaves of The Miracle Tree. Supplements that include other parts of the plant seeds, stems or roots should be avoided. Also, preferably in veggie capsules that are easily digested and absorbed by the body. You certainly don't want to see any E numbers or colouring or preservatives on the label. 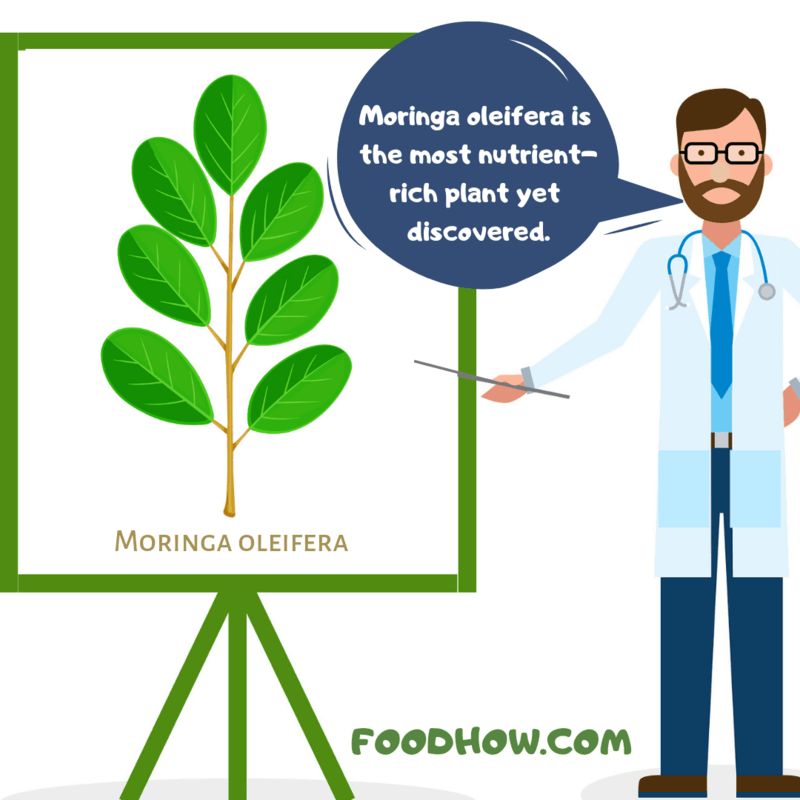 Avoid over-processed Moringa – some production techniques destroy all the beneficial nutrients! For instance, avoid over-pulverizing (used to sneakily blend in useless, low-nutrient parts such as branches and stems) or excessive grinding (this can obliterate the plant and destroy most of its value and vitamins). All the products must be stored in air-tight containers, away from harsh conditions, heat, humidity and light. The leaves used must be dried properly, following a meticulous protocol that takes up to 6 days. The vitamins and minerals must be preserved appropriately. The supplement must be grown naturally, with 100% Moringa Oleifera. GMP and FDA guidelines are strictly followed. As you can see, there are many limiting factors to making quality Moringa supplements – as a result, responsible manufacturers usually can’t maintain crazy high stock, and only limited quantities of each batch are typically available. It can take a few months to produce a new batch, so if you spot a brand that has Moringa on offer with no disruptions, it’s probably time to get suspicious. 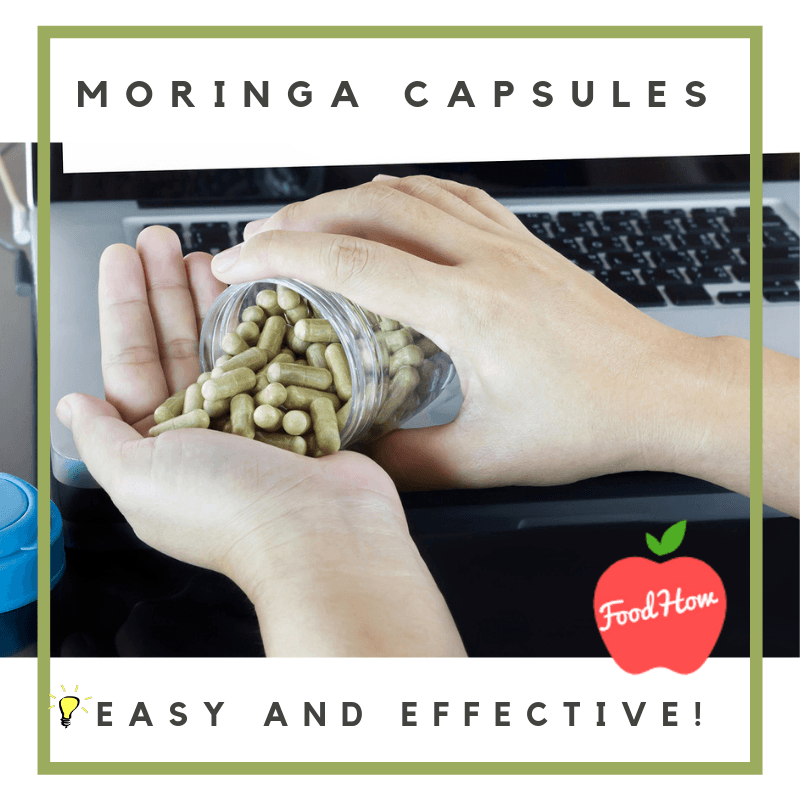 Moringa is not going to replace a varied, healthy diet – however, when it comes to giving your health that extra boost, capsules are one of the most potent all-in-one formulations to consider. 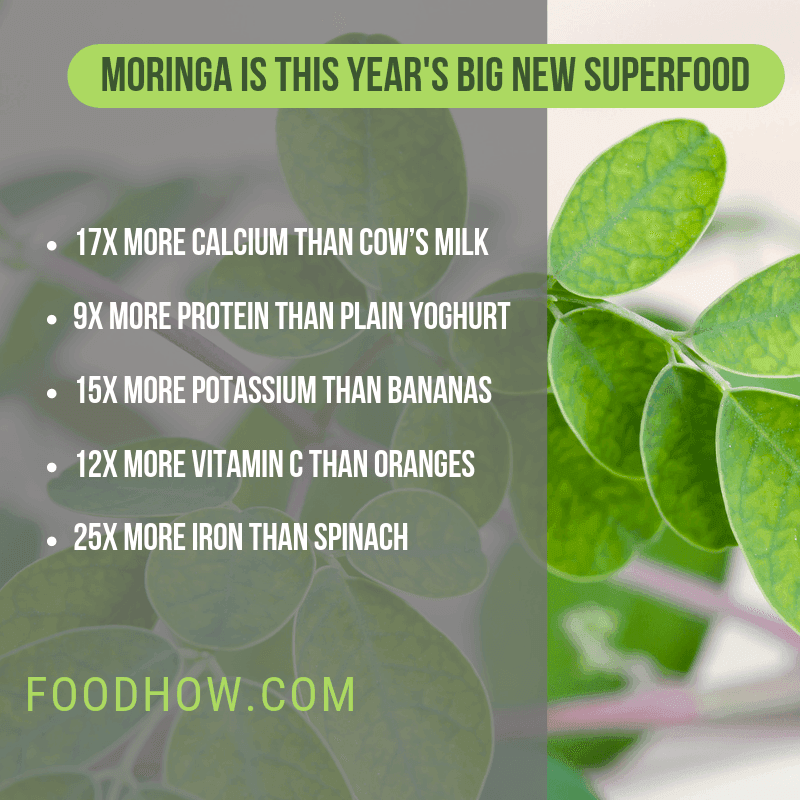 Very few people these days consume enough vitamins, minerals and other important nutrients from diet only, so trying something like Moringa can be a great way to address those gaps. There are very few herbal remedies out there that possess properties comparable to Moringa – so try it and see how you feel! Now I want to try Morigna. I think that it could really help me out. I love the idea.